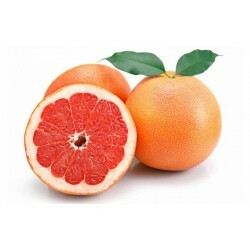 Also known as blood orange, due to its dark red tonality (in its internal and external part), acquired by the high quantity of anthocyanins that it possesses and that in addition is the principal nutritious source in antioxidant. 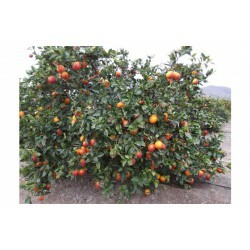 It is 100% harvested in the province of Valencia, from the Sanguinelli tree that, although it is not very dense, a good productivity of its fruit is achieved. It occurs at low temperatures, in fact, is believed to be a mutation of the known sweet orange exposed to specific temperatures. Its ripening and harvest season is between December and May. Medium size, similar to that of oranges. The skin is hard and easy to peel. It has a reddish colour. It contains few seeds in its interior. Although there is a great variety within the group of so-called blood oranges, we will show you the three most common for their harvest, distribution and consumption. Moro: Considered the most colorful of the group, this orange has a distinctive taste between acid and sweet, with an intense aroma similar to raspberry and is considered the bitterest of this group. Tarocco: Being perhaps the sweetest and most delicious type of the group, it has a semi-red color and not very accentuated, on the contrary, they are delicate touches on its fine skin. It is medium sized and very sweet, its high juice content makes it have the highest degree of vitamin C among all cultivated worldwide. Its origin is Italian. Sanguinello: It is light yellow skin and orange inside with reddish tones, is few seeds and taste, although sweet, also has a touch of bitterness. It is harvested between February and May, which means that it can be distributed over a longer period of time. How to consume Sanguine Oranges? This type of oranges are characterized by having few seeds, and in some cases none, in addition they are simple to peel and keep inside many benefits, so its consumption has increased, having different uses. But what is the best way to consume blood oranges? Although all forms of very delicious, if you really want to benefit from all its qualities, we recommend the entire consumption of the natural fruit, because this way they maintain higher levels of fiber and vitamins. In addition, it does not lose the antioxidant properties present in anthocyanins. Of course, this does not mean that you should only eat them this way. It is also available for gastronomic uses, confectioners and in common juices. Just choose your favorite form of consumption and place your order with us. With a very high nutritional value, blood oranges are composed of a series of minerals and vitamins essential for your body. Therefore, by regularly eating these portions of fruit, you will be nourishing yourself with their properties, which will result in good results for your health. 58% is made up of minerals such as calcium, potassium and phosphorus. It contains trace elements such as iron, copper, zinc, manganese and bromine. It has a large amount of vitamins: A, C, E, B1, B2, B3, B5, B6 and PP. Natural antioxidant. Being one of the major sources of vitamin C and having anthocyanin, helps in the metabolic function of the body. Stimulates the production of collagen. Maintains bones, teeth, skin and cartilage in good condition. Prevents cardiovascular diseases and neurological. Its powerful antioxidants trap and eliminate disease-causing free radicals. Prevents obesity and diabetes. Anthocyanins decrease glucose in the blood and therefore the absorption of fat. It favors the endocrine system. Its amino acids help the proper functioning of the thyroid, pituitary and adrenal glands. Nutritional table for each 100gr consumed. 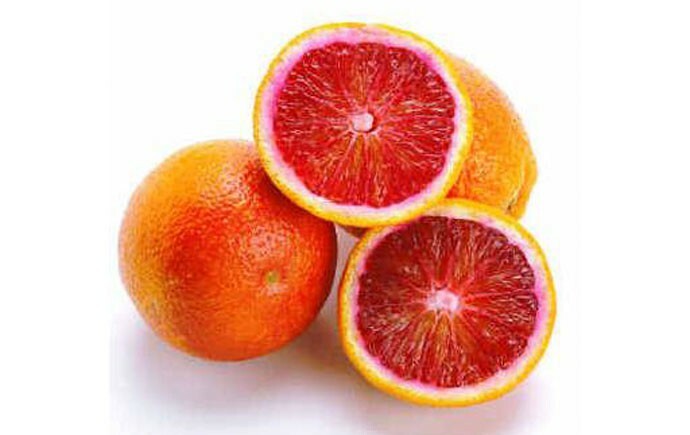 When buying blood oranges in Naranjass.com, you will be able to choose the freshest ones. Thanks to our speed in attention of orders and deliveries, you will be able to have them directly from their harvest, conserving their natural quality. We work online, with any quantity and throughout the Spanish territory. Don't wait any longer and discover the delicious taste of our blood oranges!